My personal library mirrors my character, with an abundance of authors who set their stories by the sea: Andrea Camilleri in the imaginary Vigata of Sicily, Gianrico Carofiglio in Bari, Diego De Silva in Naples and Alicia Giménez-Bartlett in Barcelona. This last author has given life to the character of Petra Delicado, not only the shrewd and determined inspector of the Policia Nacional, but also a woman of strongs feelings. 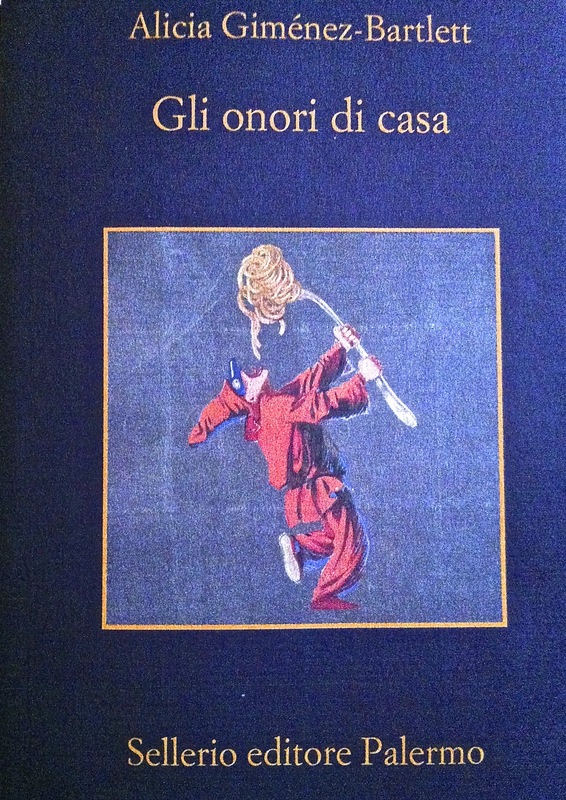 In her latest book “Gli onori di casa”, Petra leaves her Barcelona to investigate here in Italy. During the presentation of this book in Rome, I had the good fortune to meet Alicia Giménez-Bartlett in person. The author spoke with great enthusiasm of the desire to pay homage to Italy in her book and the fundamental contribution given to her by a policewoman friend who had actually worked with our police forces. She also made us smile by telling us some little anecdotes, such as the difficulty of finding an Italian name for the murderer that corresponded to the national identity of our country. During the book signing, Alicia found the time to have a chat with each of us, making us happy with a brief moment, something only special people can do. 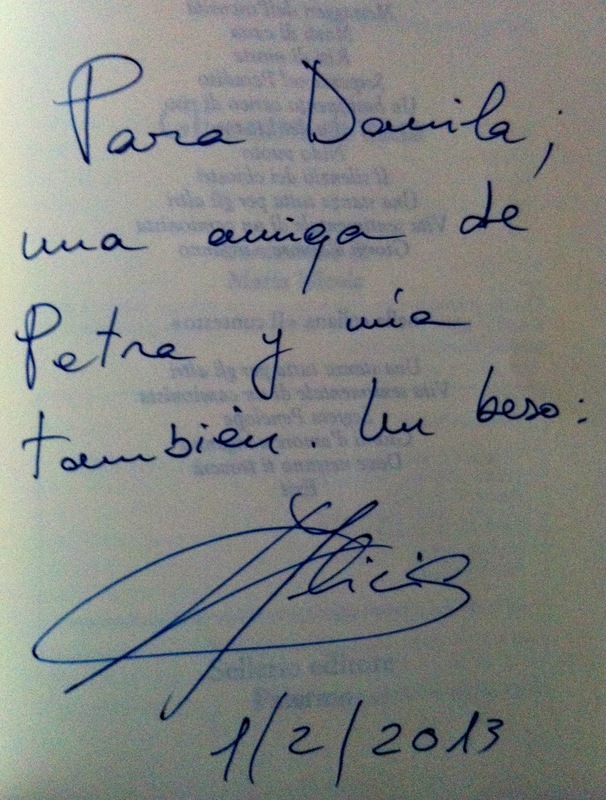 For Danila, a friend of Petra and mine too. 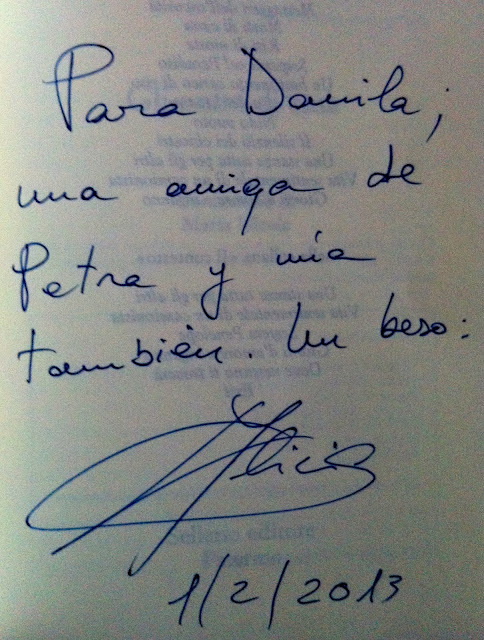 A kiss, Alicia.